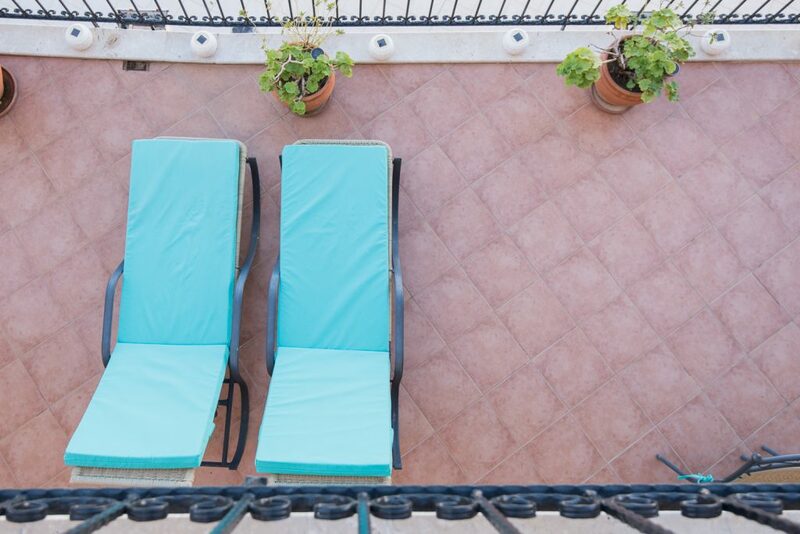 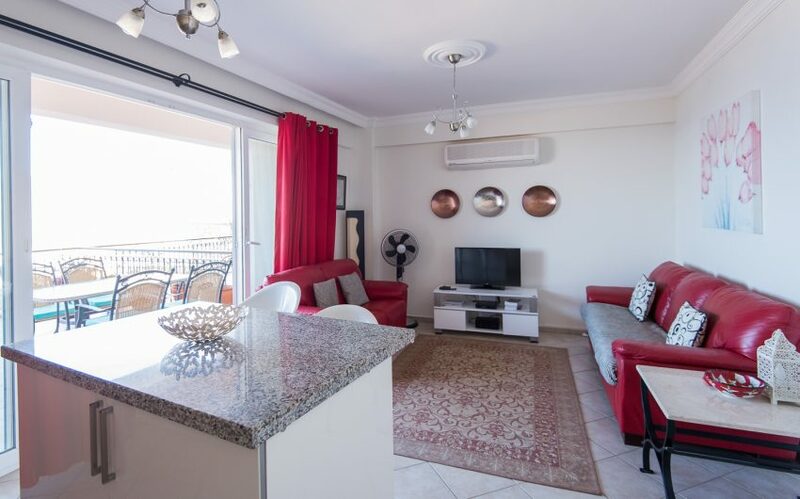 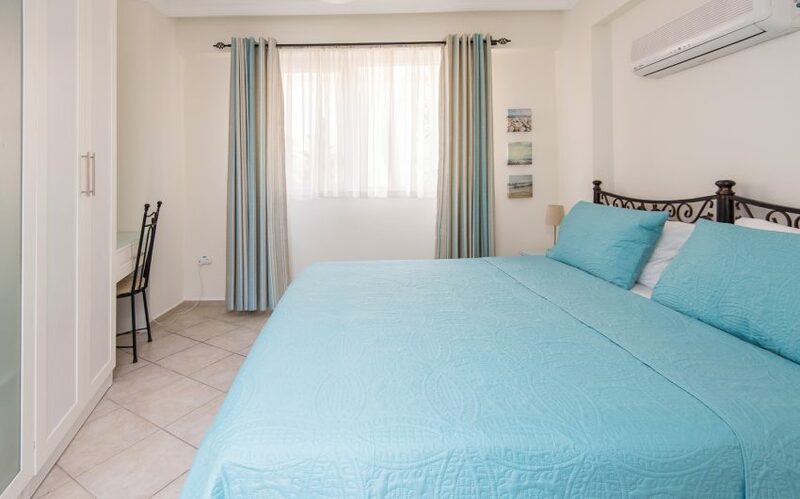 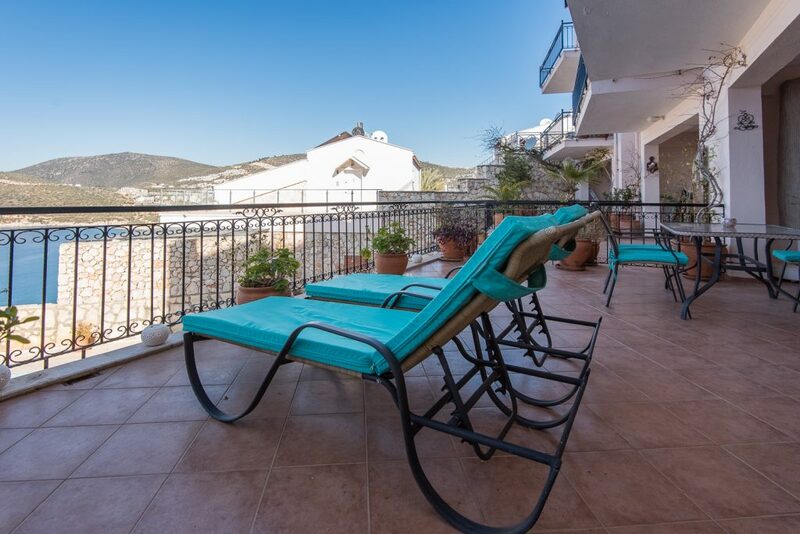 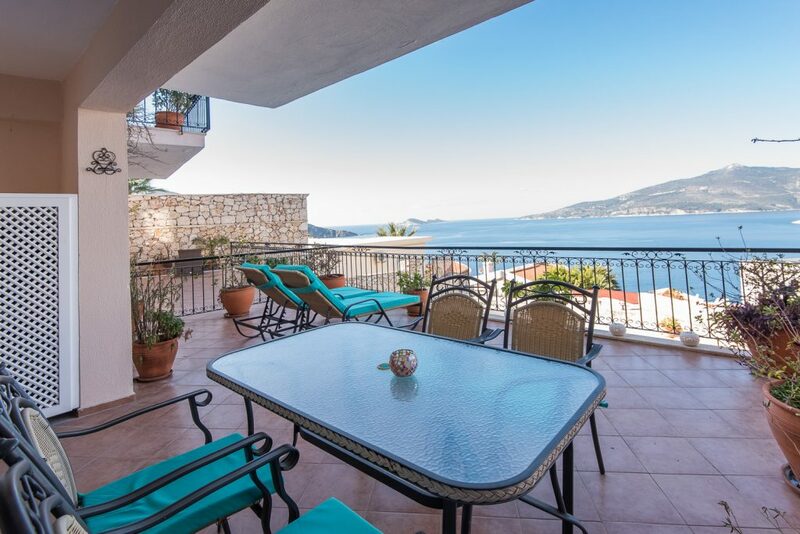 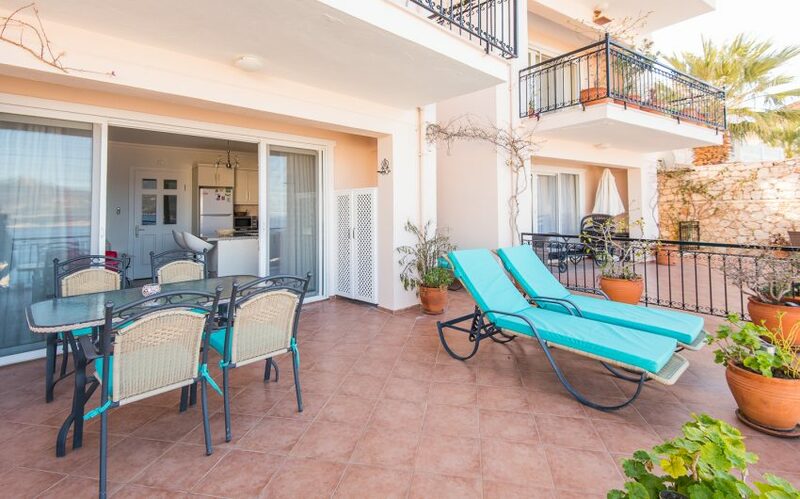 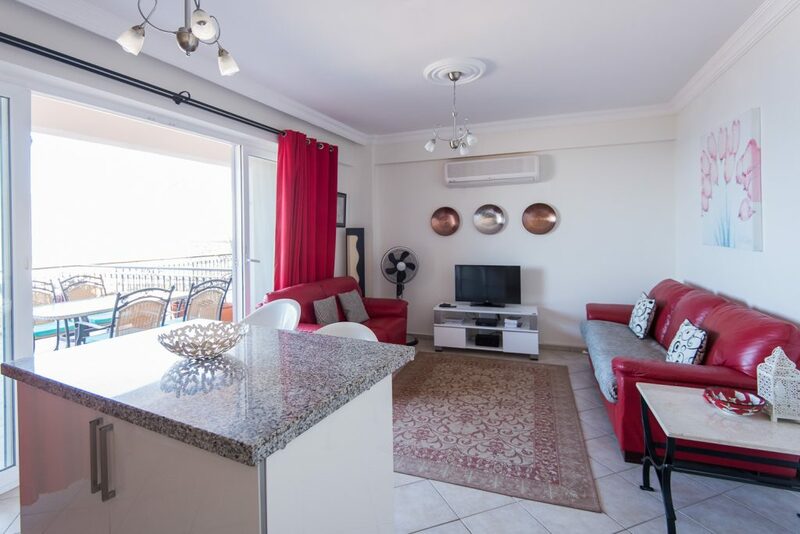 Olympos View is a beautifully appointed 2 bedroom apartment in a small, private complex, which share a good sized swimming pool and large roof sun terrace, and boasts a view recently described by one visitor as ‘World Class’. 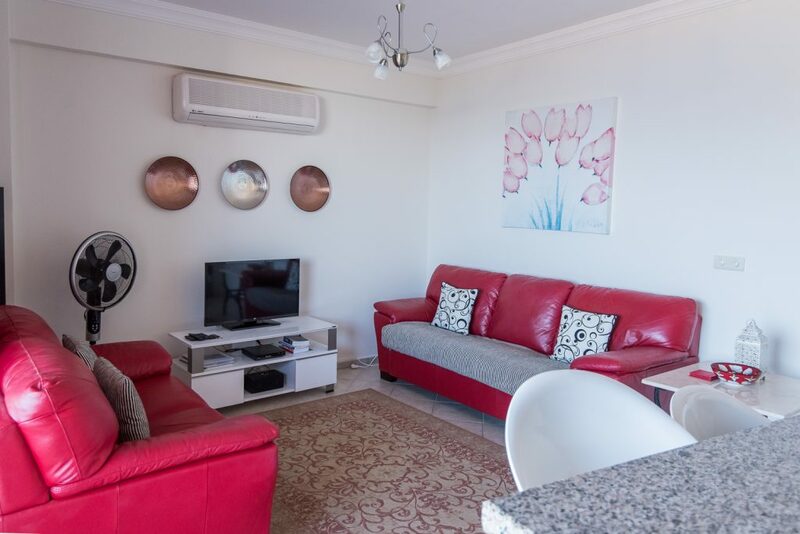 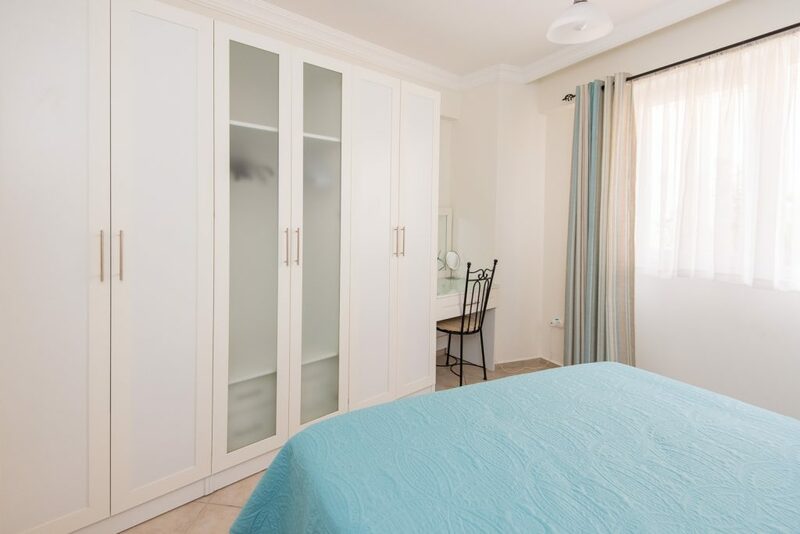 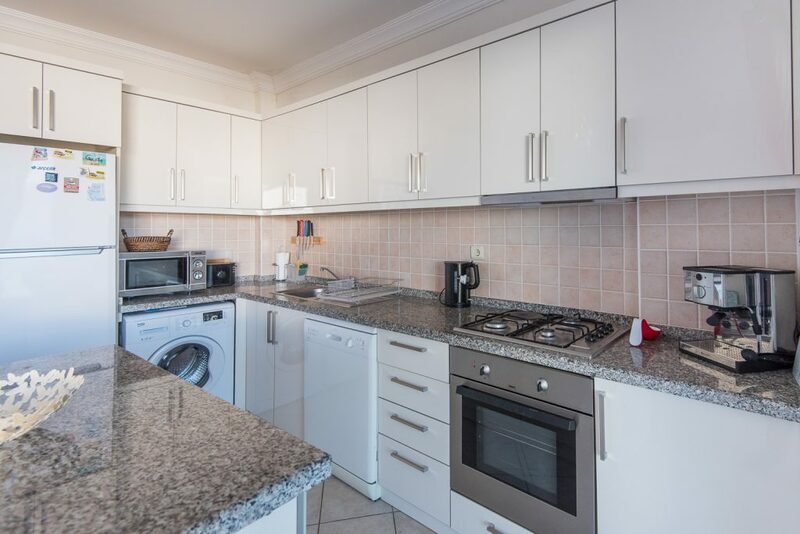 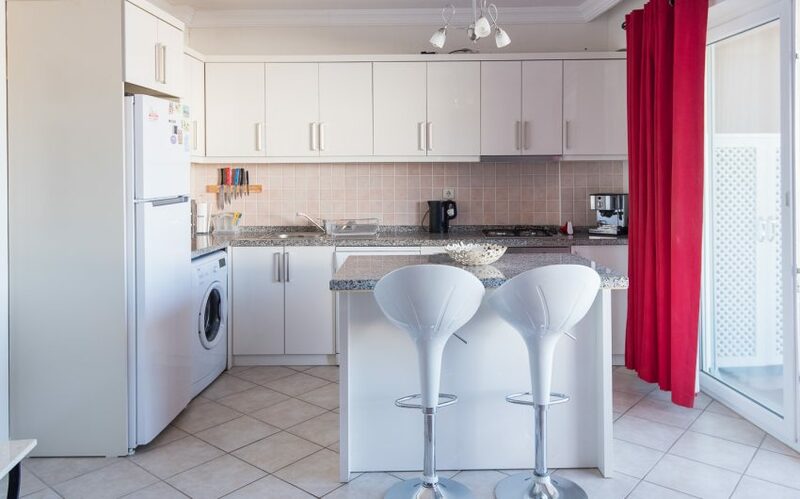 The apartment has a well laid out, open plan living and kitchen area, with comfortable sofas, television and a fully equipped kitchen including oven/hob, fridge/freezer, washing machine, dish washer and microwave. 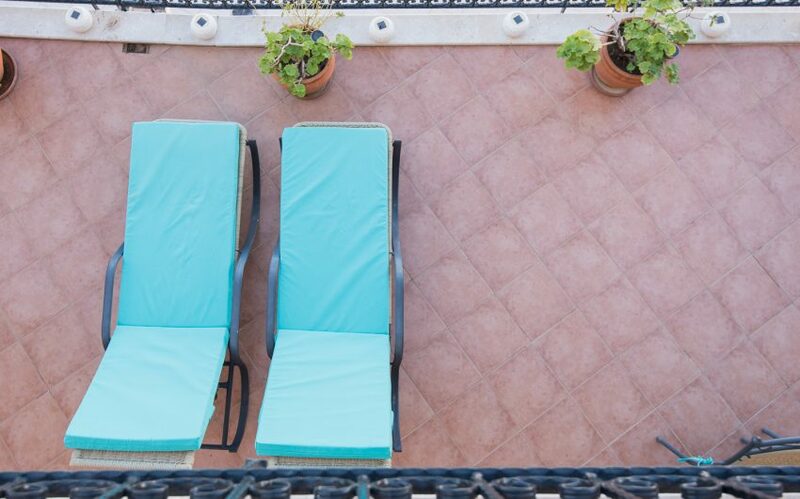 Everything you need for the perfect home from home. 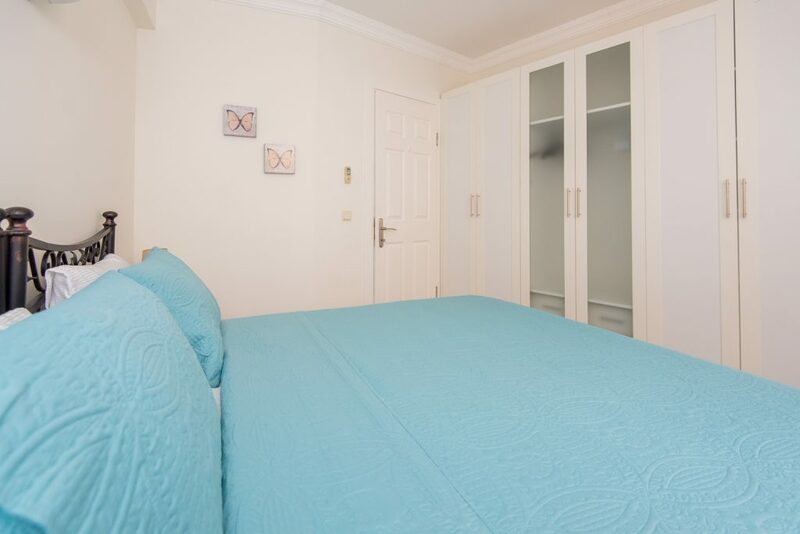 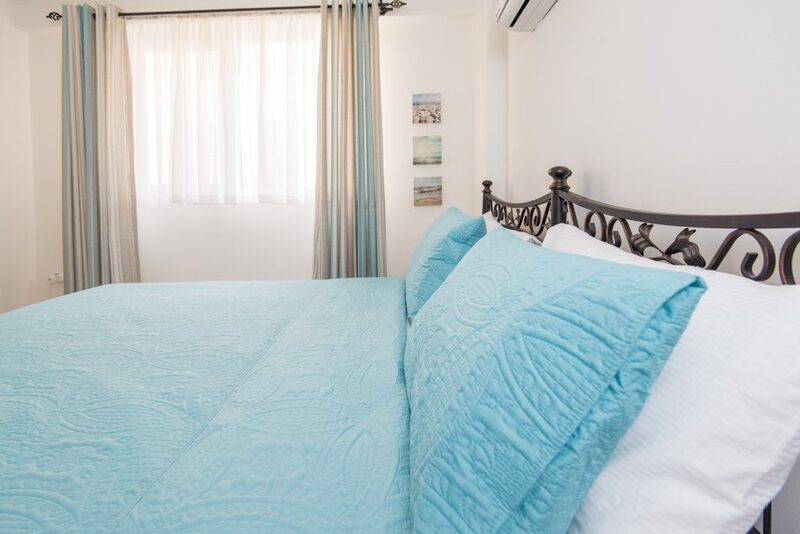 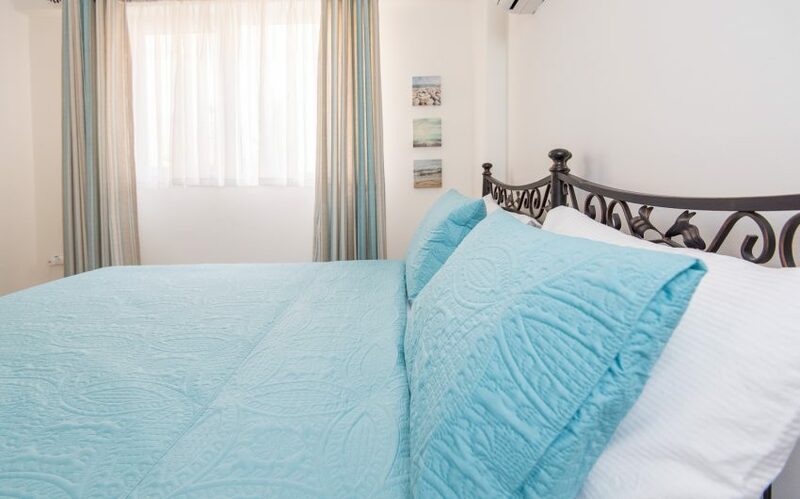 The main bedroom has a super kingsize bed, whilst the 2nd has two single beds and both are beautifully colour co-ordinated with plenty of storage. 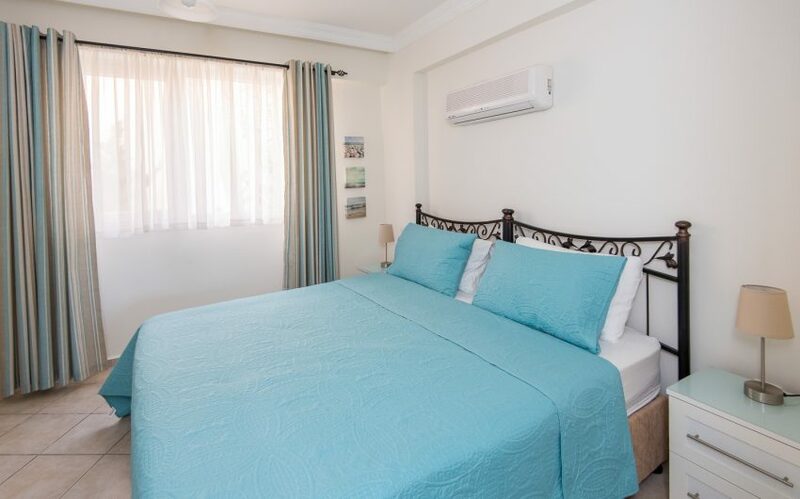 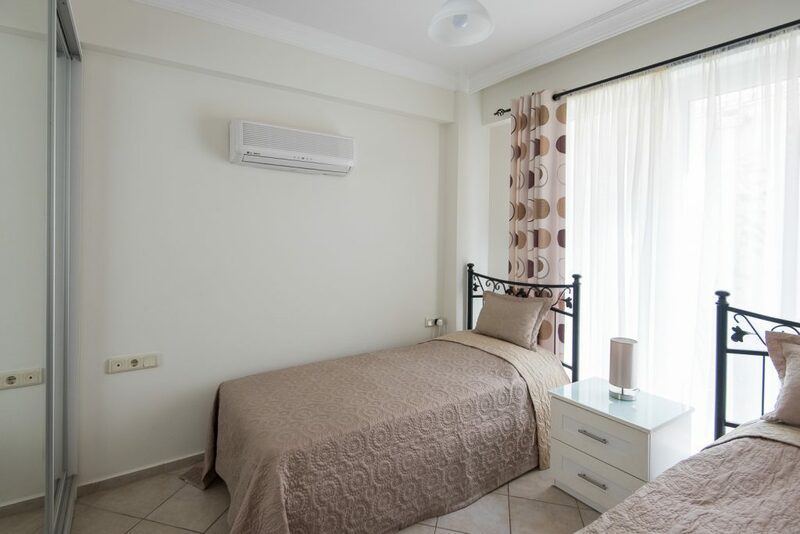 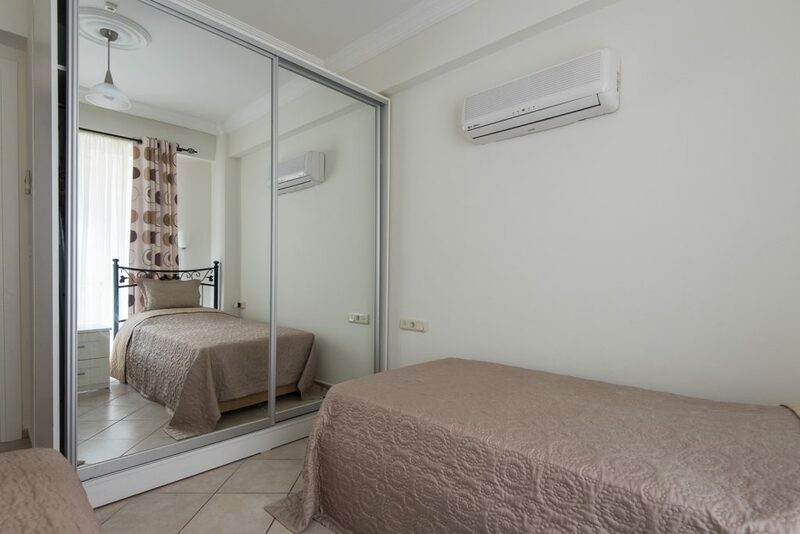 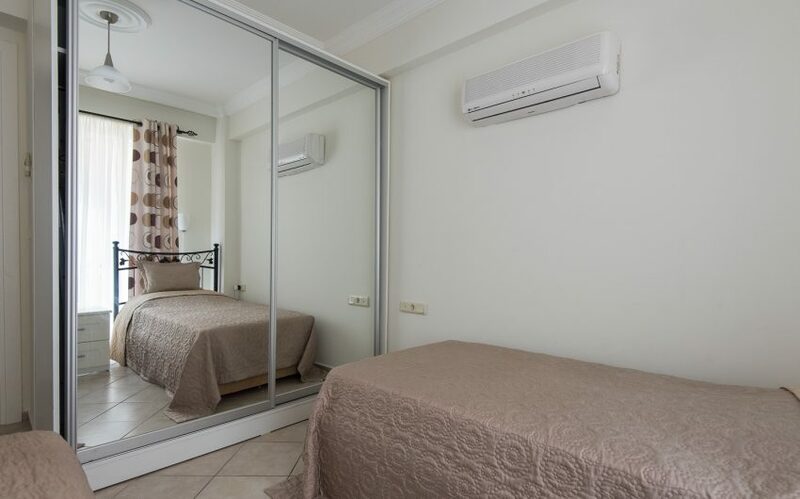 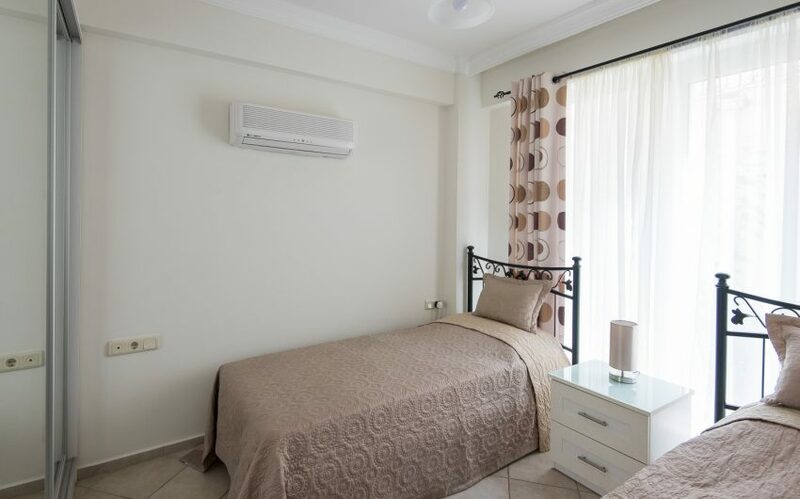 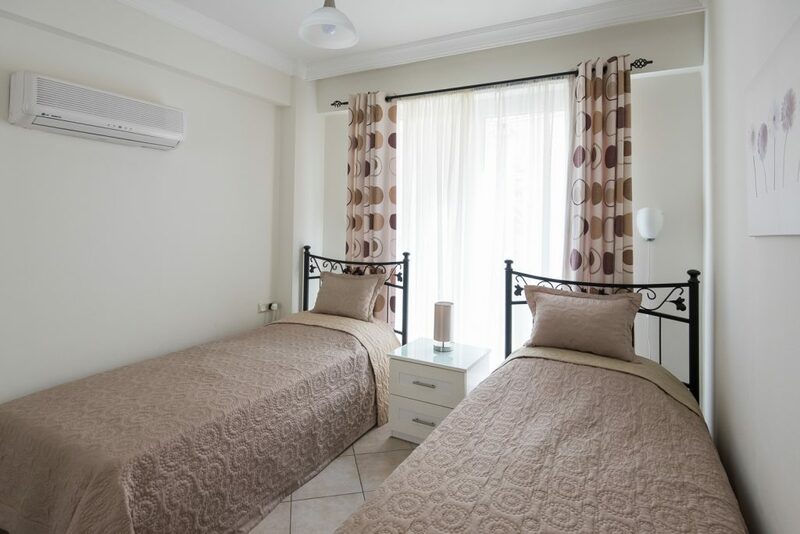 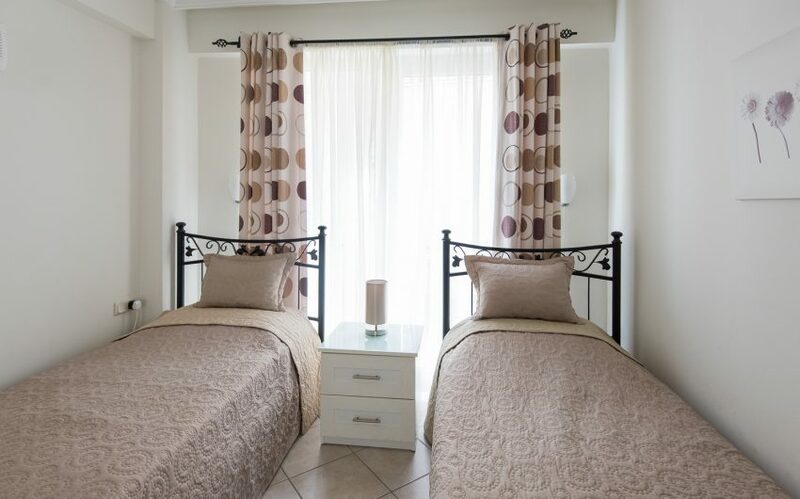 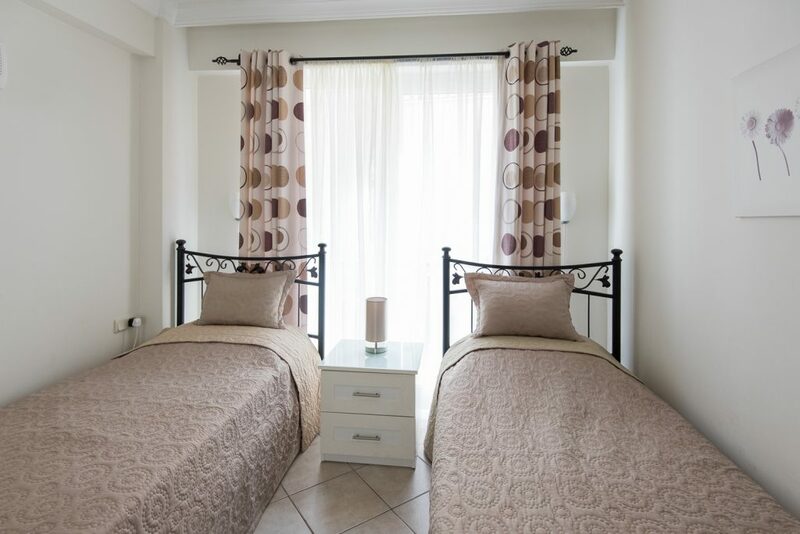 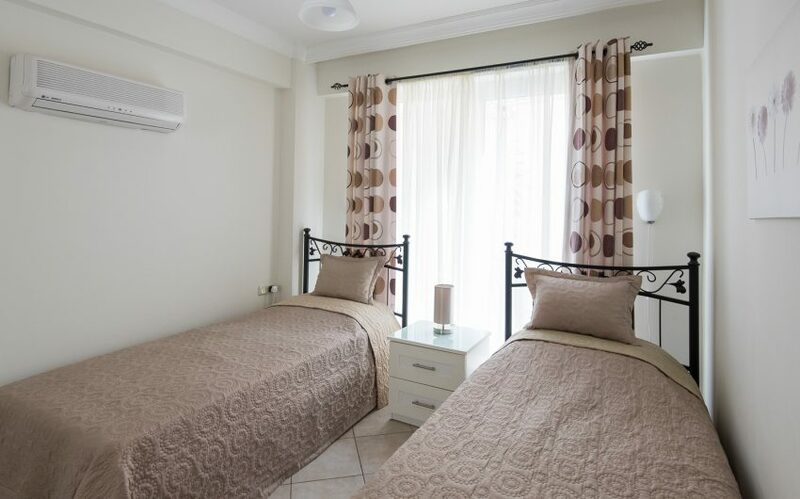 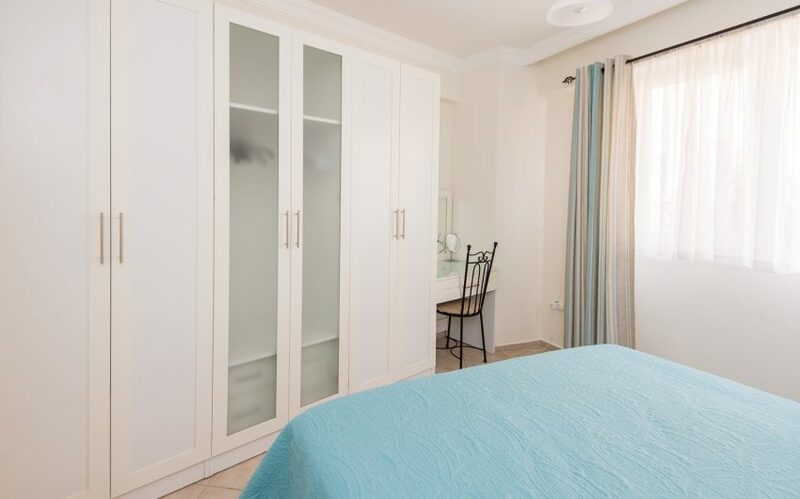 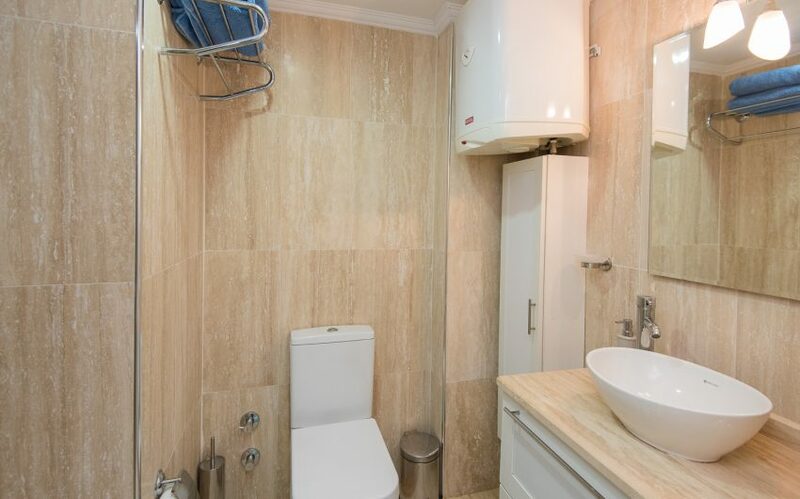 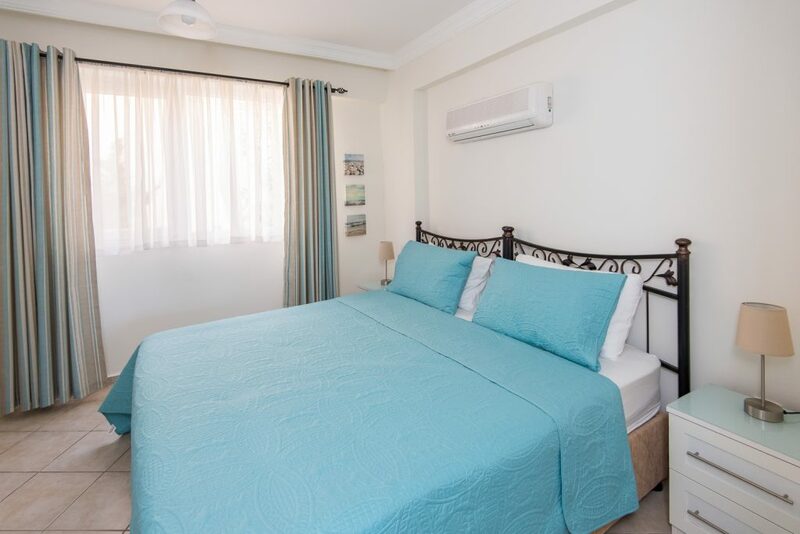 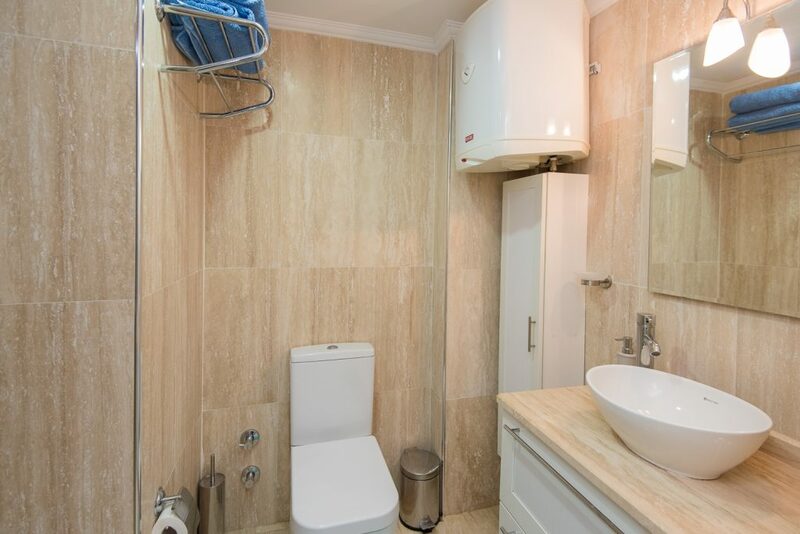 All the rooms have air-conditioning and free wifi is available throughout the apartment There is one good size family bathroom, with a shower, WC and vanity unit. 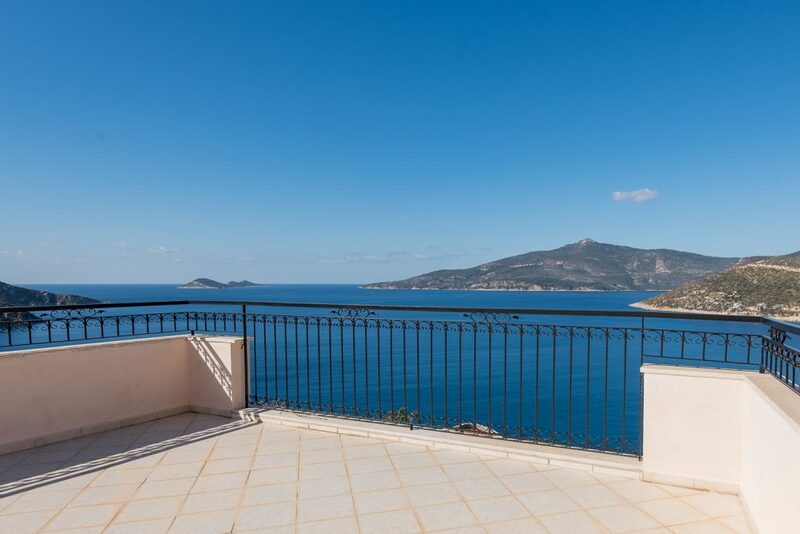 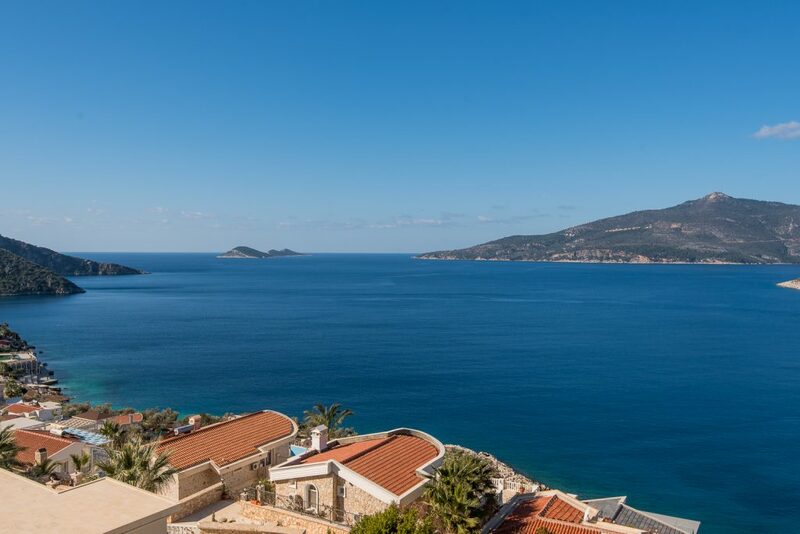 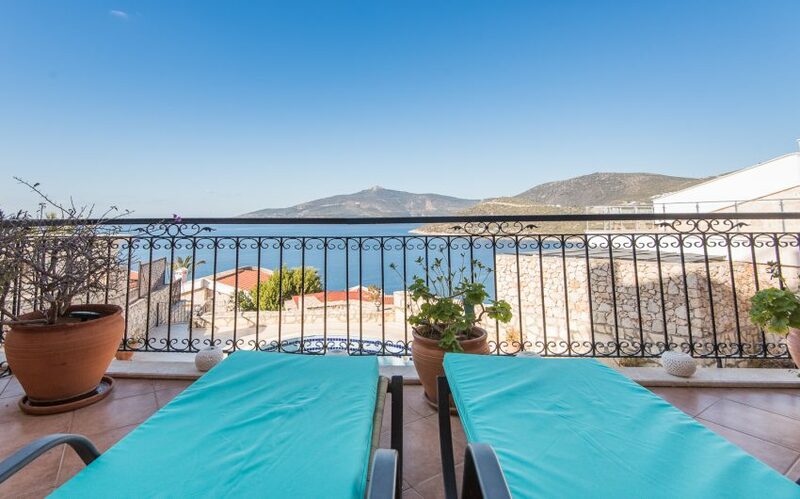 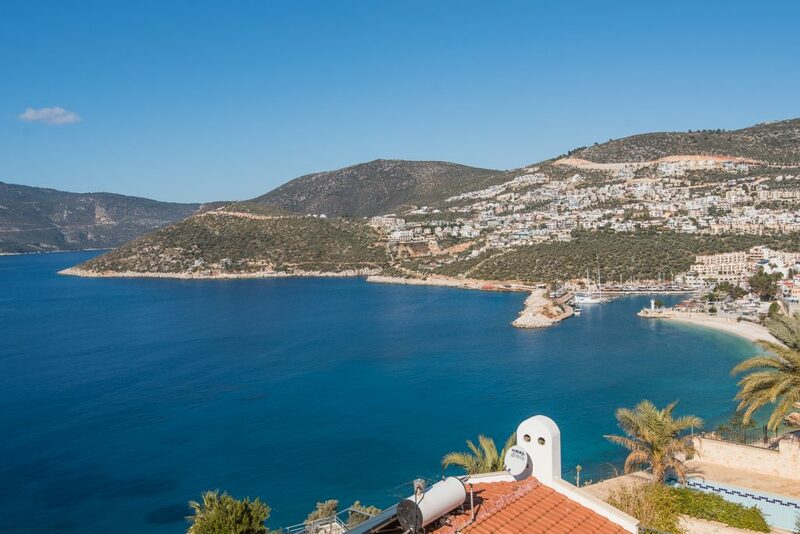 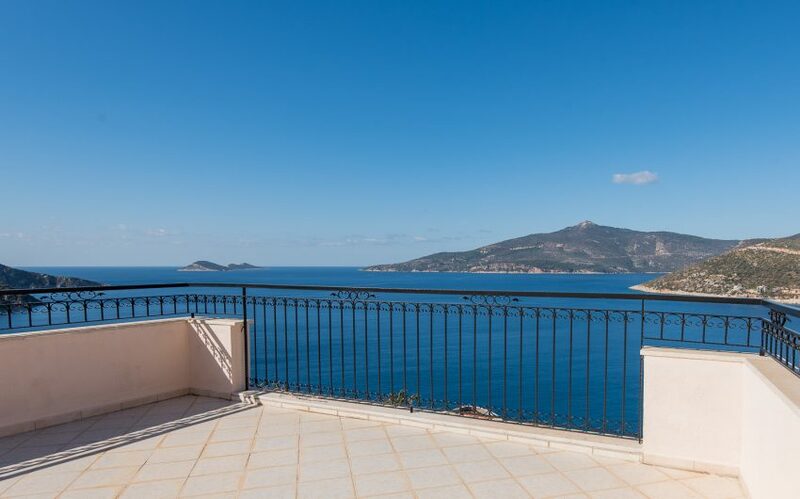 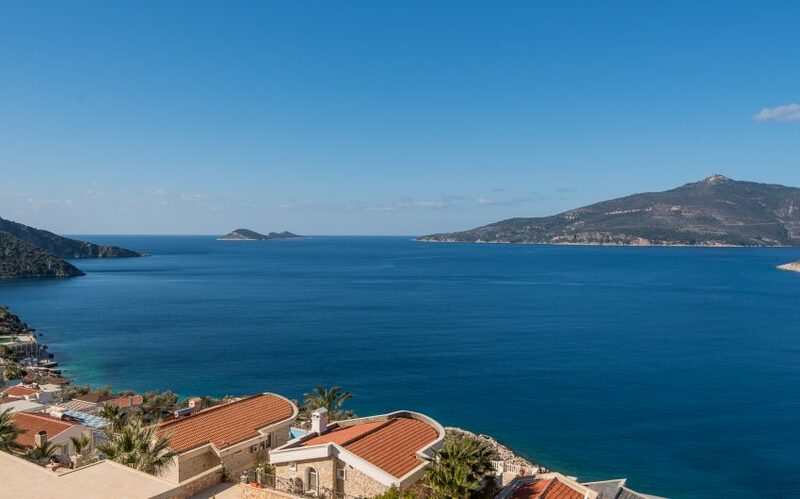 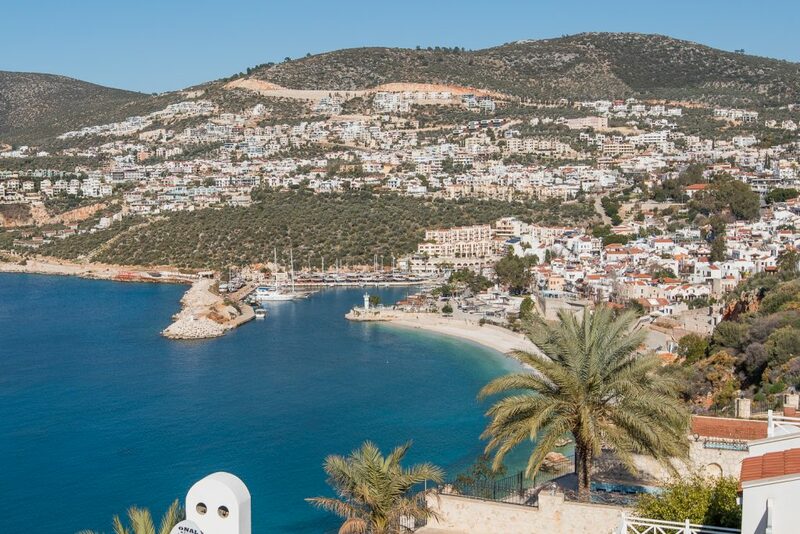 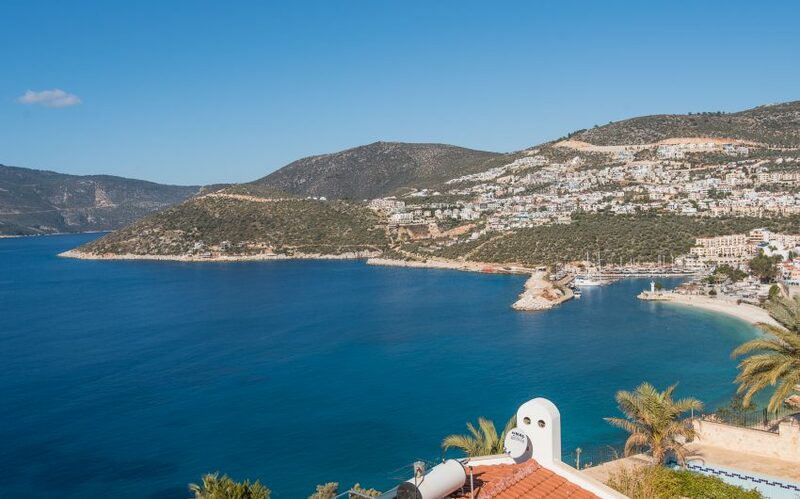 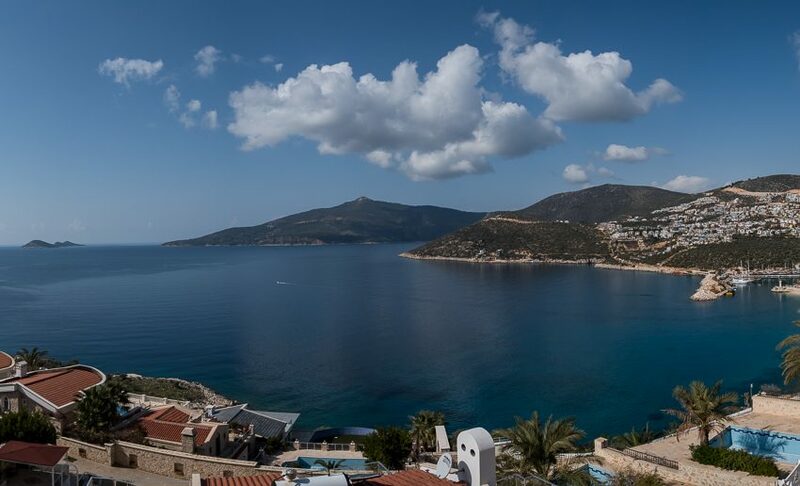 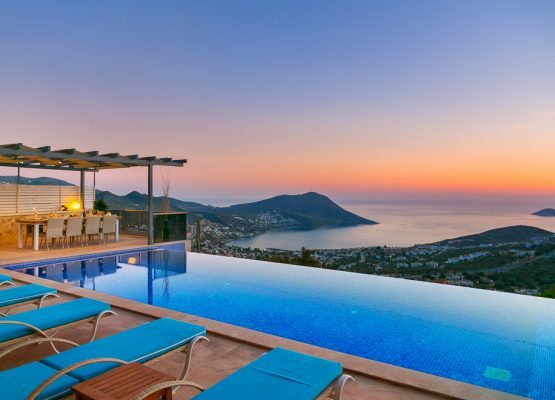 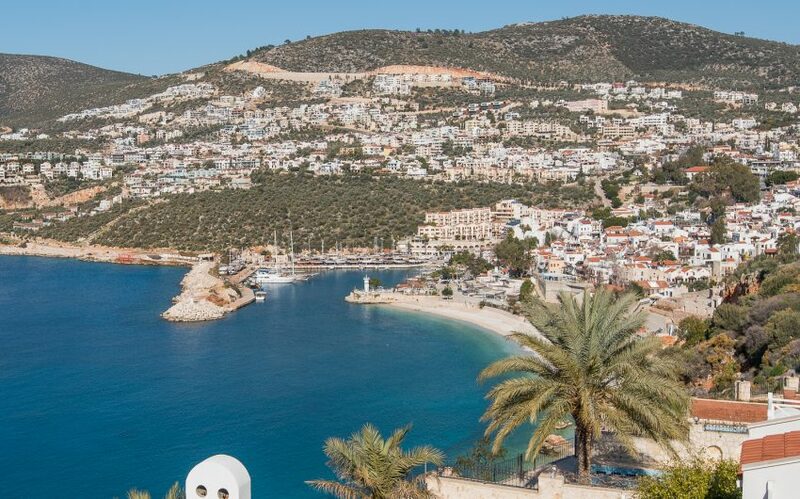 However, as luxurious as the interior is, the real wow factor with Olympos View comes when you step out on to the large private balcony terrace – a sweeping vista of Kalkan bay takes your breath away. 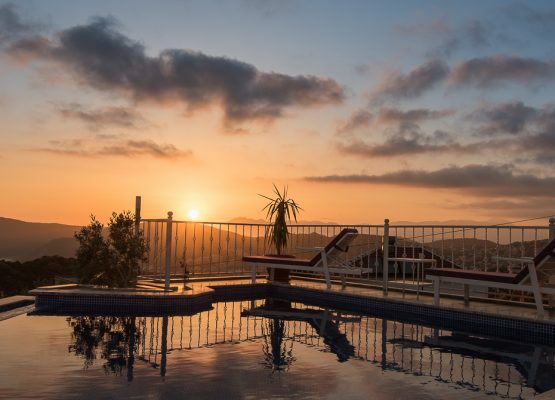 Words will never be enough for this one, and that is before you have ventured up to the roof terrace for an even more spectacular vantage point. 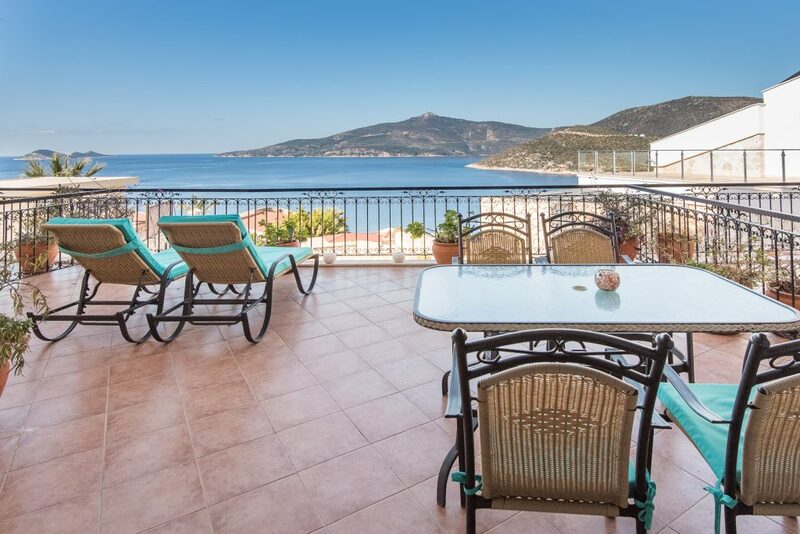 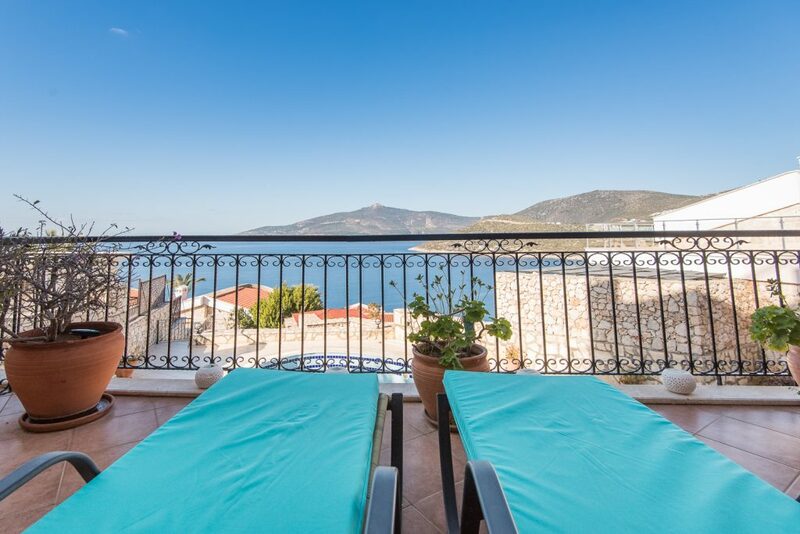 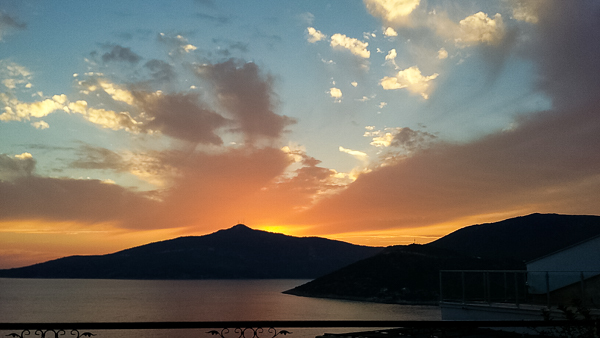 The apartment private terrace is the perfect spot to watch the incredible Kalkan sunset and enjoy a glass of wine and alfresco dining. 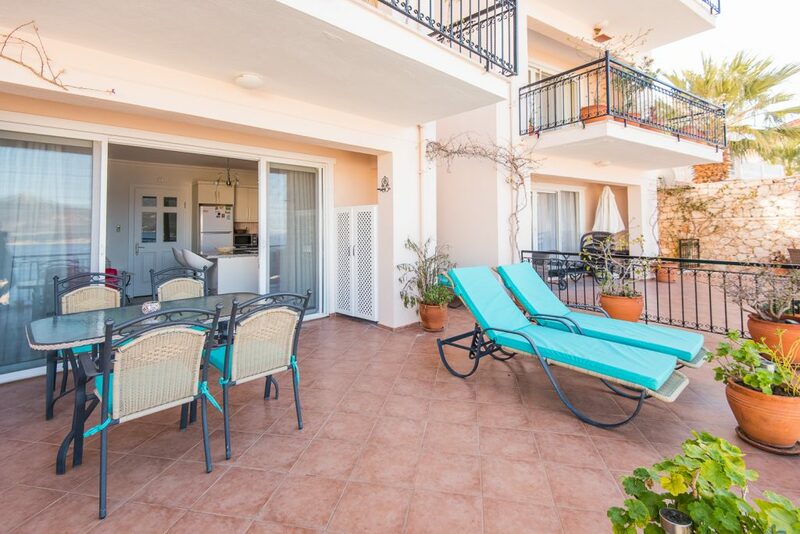 Other benefits include a beach club only 5 minutes walk away, and a 10 min gentle stroll into the main town for shops, restaurants, bars, the harbour and beach. 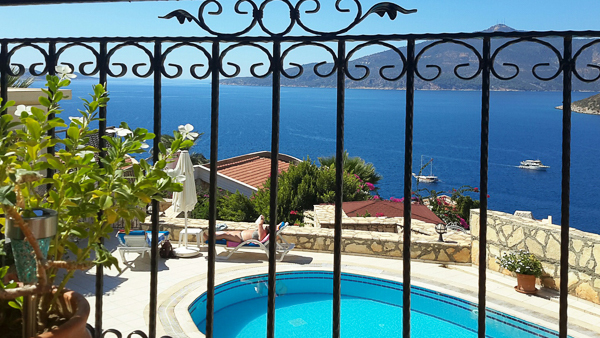 The location is very peaceful too, we think once you try it, you will definitely want to keep coming back. 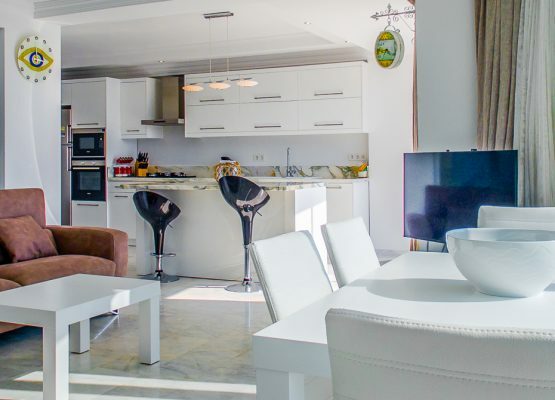 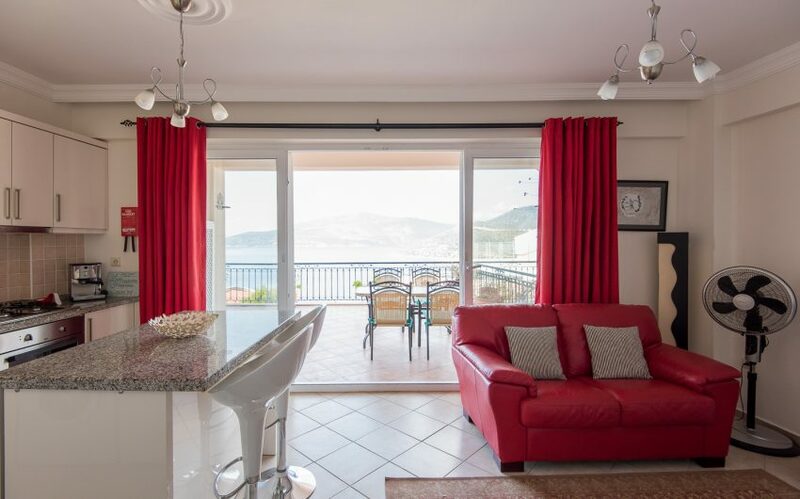 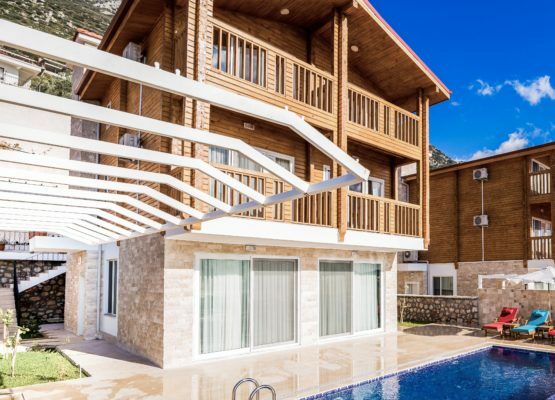 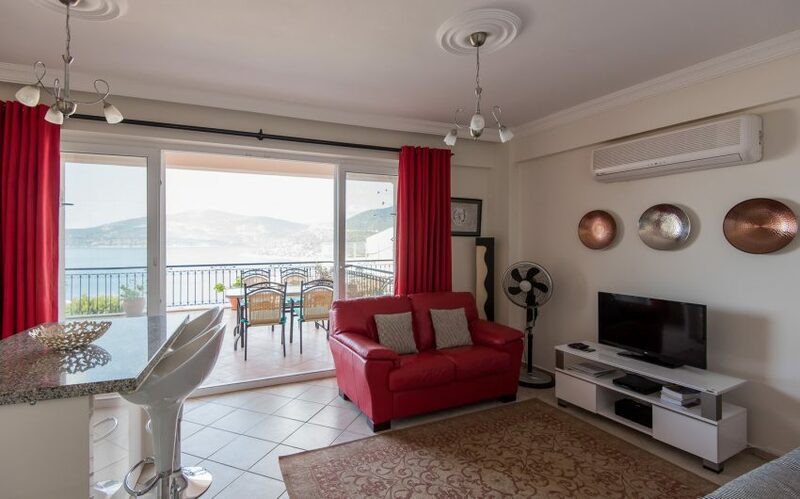 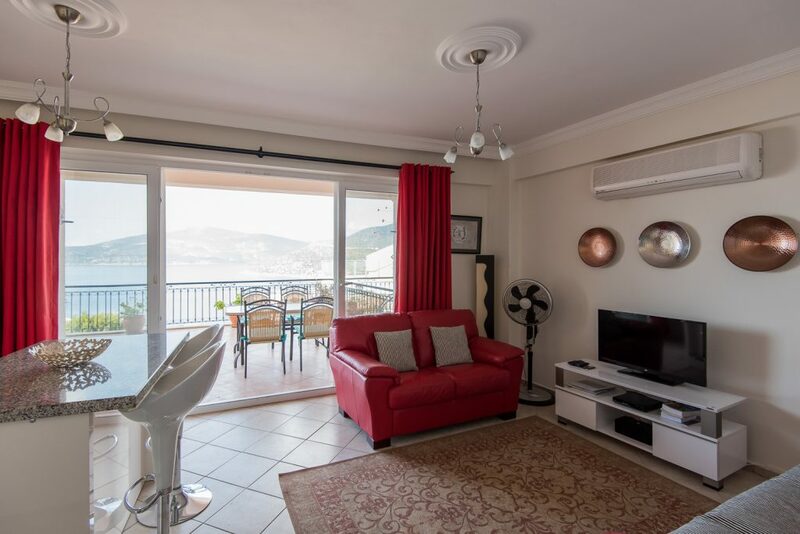 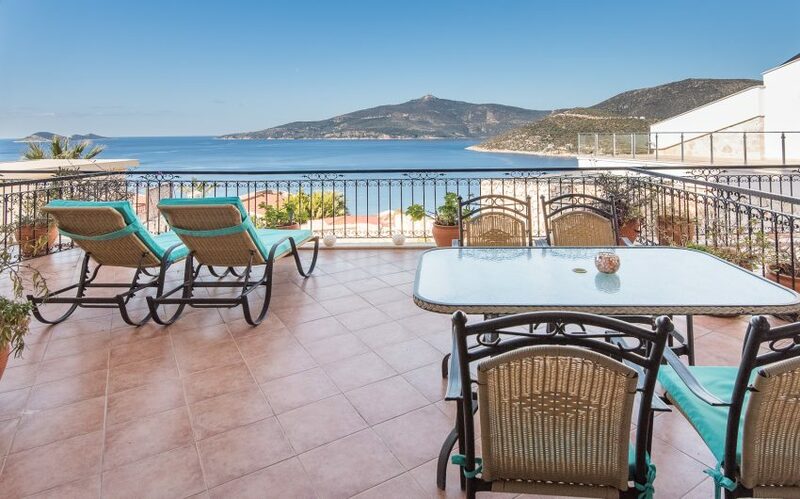 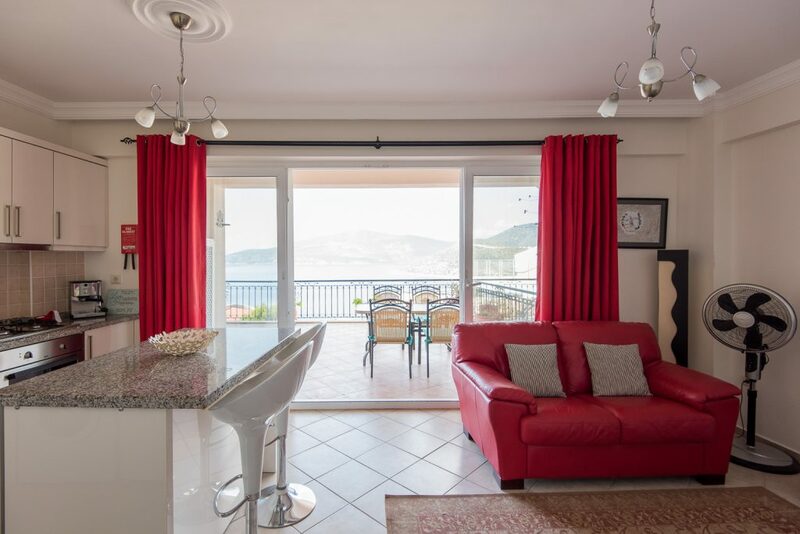 The Mistral Apartments are five 2 bedroom apartments with breath-taking views across the entire bay and we have all 5 available to rent to Holiday Homes Turkey guests.